According to Kiplinger's Magazine, every year there are a number of taxpayers who overpay their taxes and do not claim all of the deductions that they are entitled to. It literally pays to do a little research and make sure that you are claiming all the deductions you are entitled to. Yes, getting a tax professional makes sense as well, but it is also good for you to have the knowledge so you can judge if you are picking the best tax preparer that you can find. There are some states that do not impose a state income tax, so residents of these states should make sure they claim their sales tax. In most states that have an income tax, the government only allows you to choose one tax to claim, either the income or the sales. Considering that the income tax will give you the biggest return, it makes sense to always claim that. Any sales tax that you paid for home building materials is eligible for deduction as well, but many people forget this. What Can I Deduct & What Receipts Should I Keep for My Taxes? 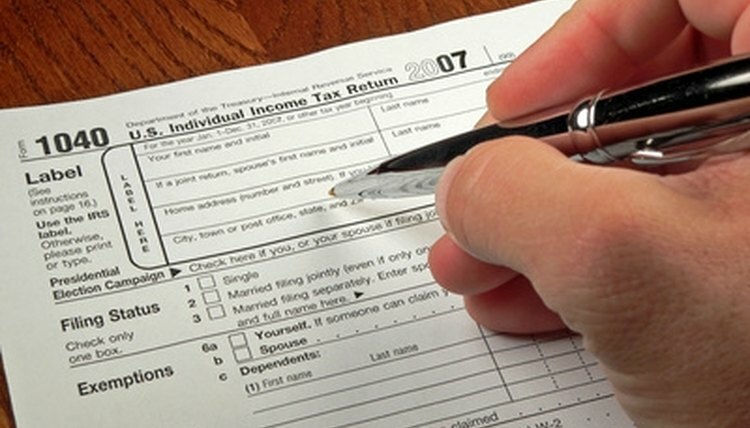 If you owed state tax last spring, then you can claim that on this year's income tax return. When you have refinancing points on your mortgage, you can deduct this on your tax return. However, you have to deduct these points over the life of your mortgage, and for some people this can be tricky--and something they forget to do as well. If you have a 30-year mortgage, this generally means 30 dollars for every 1000 points you paid. While it might not be a lot of money, it is money and does add up. This is a tax credit that lets you deduct up to 30 percent of certain items you have purchased that are considered energy saving. This includes appliances such as furnaces, water heaters and central air conditioners. Also included are skylights, windows and outside doors. If you had jury duty, many times your employer will still pay you a full wage for the time you had to spend in the jury box. However, some companies then make their employees return the money. If this happens, you must make sure that you claim this on your income tax because the government will still expect you to pay taxes on that income, even though you no longer have it. There is no special spot to add this on the income tax form. You just include it in your other deductions, but put a note that says, "Jury pay," on the dotted line. If a relative died and left you a property that had a Federal estate tax imposed, you can deduct this from your tax return. Marie Scribe has been writing for more than 10 years. Her specialties include copywriting, advertising and editing. She has a journalism degree and extensive experience with business and technical writing. She has been published on Trails.com and eHow. Scribe, Marie. "A List of Items That Can Be Claimed on Income Taxes." , https://legalbeagle.com/6556505-list-can-claimed-income-taxes.html. Accessed 19 April 2019. How Much Money Is Taken Out of a Paycheck for Taxes?